I will show you how to transform leftovers from your grill into something completely different! Take sandwiches for instance. Most of us define them in simple terms: food between slices of bread. However many (including myself) consider burritos, wraps and anything enclosed by bread to be in the sandwich family. 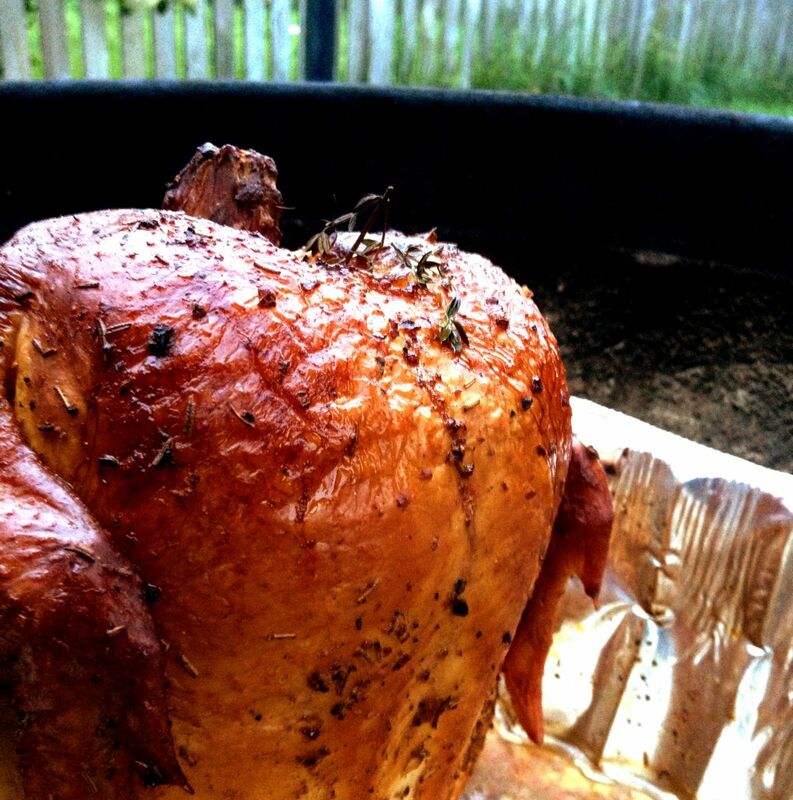 Recently I cooked a whole chicken on my 22.5" kettle using the beer can method (with some tweaks, including a deep foil pan) and cherry wood. The smoky results were amazing. After using half of the chicken for one dinner, I wanted to use the rest for something unique for the kids. I let the chicken rest and cool in the fridge overnight and pulled and shredded the chicken the following day. Instead of a sandwich or wrap, I decided to make smoky chicken egg rolls. 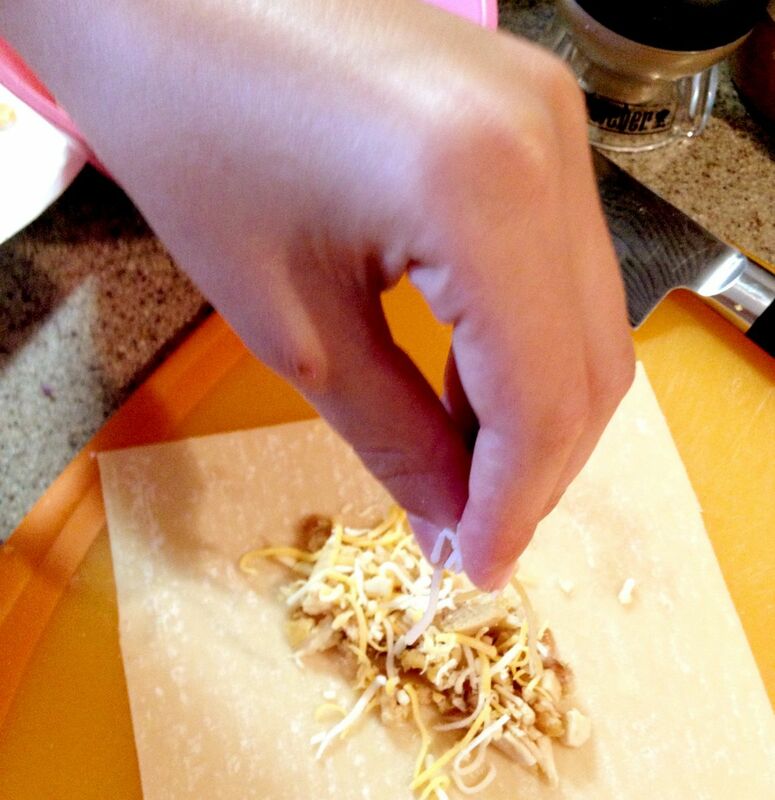 The kids loved adding the chicken and different goodies to the egg roll wrappers -- from simple (shredded cheese) to crunchy and savory (red cabbage, carrots and green onion). They rolled, folded and brushed the bundles with oil. Grill these little bites at 350 over indirect heat for about 20 minutes, flipping once. If you're worried about losing one of these through the grates, you can also use a grill pan or plancha. The kids dipped their creations in a variety of sauces: yogurt-cucumber-mint, teriyaki and BBQ. I wish I had made more! - Add one of the sauces inside the roll to keep things moist during grilling. - To gain the leftover advantage, cook more than usual. We have to force ourselves to let leftovers survive to be eaten another day! - If you have bones left over from a chicken or turkey, be sure to keep the bones for a delicious stock! You know you've done it right the first time, when the leftovers are twice as good.